The mysterious, treasure-filled toy box is always an irreplaceable object in any playpen. Growing up with more Lego blocks than Barbies, I’ve always been obsessed with the idea of building my own treasure chest and then filling it with all my childhood memories. Something as simple as a box filled with random trinkets can hold so much meaning. While you might not get teary-eyed thinking about all the sweet memories you had growing up as you dig through your old box, I bet your heart will feel like warm, melted butter as you take a stroll down memory lane. Kids these days are so fortunate to have their iPads, iPhones, computers and random gadgets–things that weren’t around when I was their age. I mean what did we have when we were growing up… Raggedy Ann dolls, Care Bears, Checkers… lucky us, right? But even with all those “simple” things, we managed to have a great time! As much as electronics are important to kids, I find that there needs to be a balance between toys that require electricity and toys that don’t. Find ways to make playtime more hands-on! I’m not talking about swiping a finger across a tablet screen to catapult a bird in the air. Instead, I’m talking about building blocks, Rubik’s cubes, firetrucks, and everything in between. It’s hard to keep a room neat and tidy, especially when there are piles of toys and knick-knacks scattered around. But it really doesn’t have to be! Instead of using those clunky, not-so-attractive plastic containers to store your child’s toys, why not give classic toy chests a try? And if you don’t like trunks or boxes, similar creations, such as crates, are perfect alternatives. If you are conservative about space, the toy truck by Witt Construction (above) will be a great piece of furniture for you. 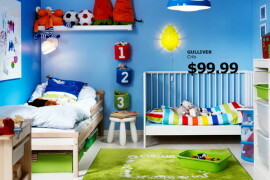 It serves two purposes: a toy chest and a unique, comfortable bench. Store toy buckets underneath a living room side table as an easy way to tidy things up. These buckets are inconspicuous and very affordable! 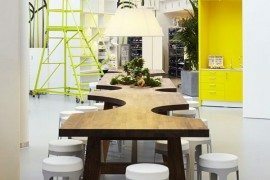 We literally see Lego-themed furniture in all aspects of design. 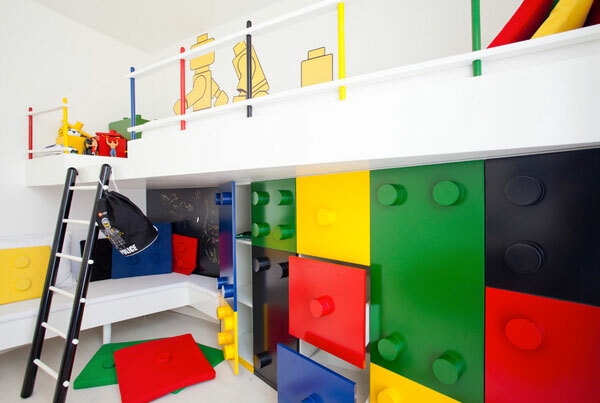 So it is only fitting for me to introduce a Lego-themed storage closet for toys. 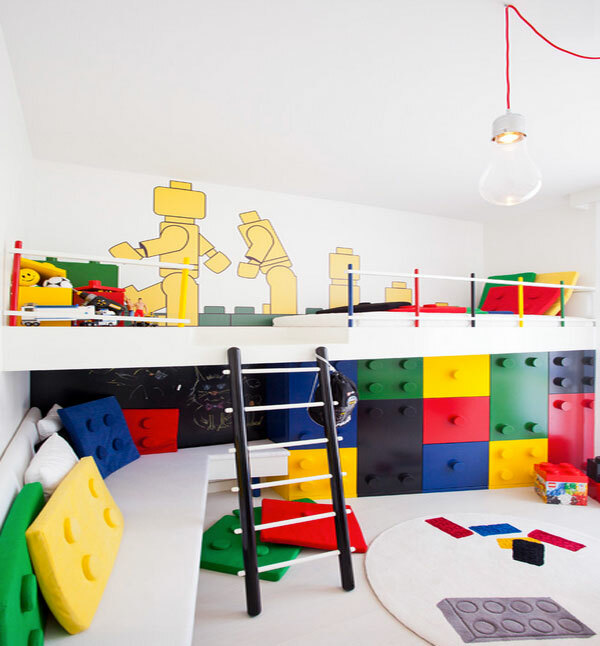 If you have boys who are deeply attached to miniature building blocks, I’m sure they will love to have a playroom like the one below. 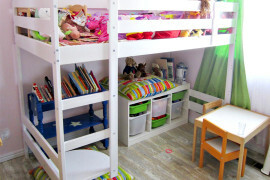 Kids can play with their toys on the floor and then stuff everything into the drawers when it is nap time! 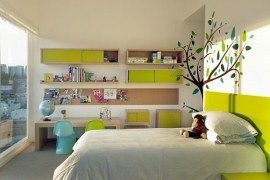 And there you have it, a mess-free room that both kids and adults will love. 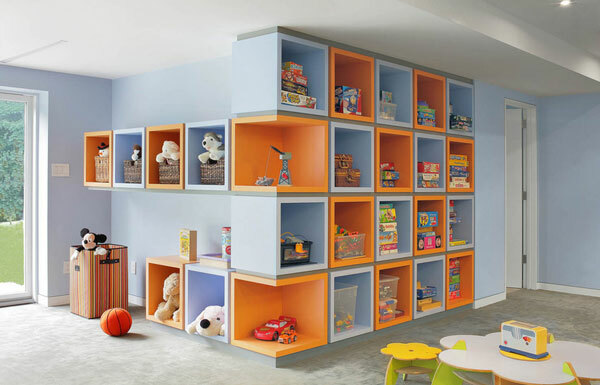 Out-of-the-ordinary pieces of furniture and storage bins are always eye candy. Seeing how so many of us are DIY hobbyists, I thought it would be nice to introduce some tips that can fuel your artistic flame even more. Have you ever thought about painting your drawers with chalkboard paint? 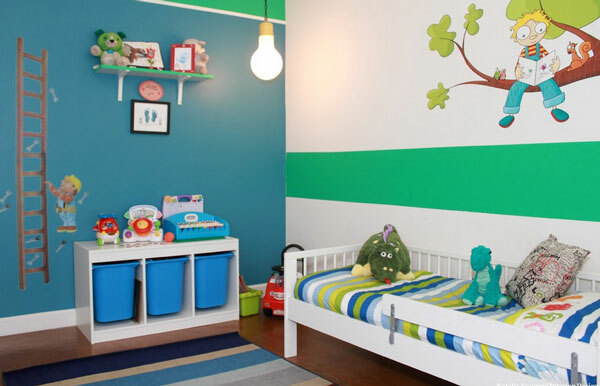 You can easily turn any boring piece of furniture into a blank canvas for your kids! With these erasable additions, your kids will not only be able to easily identify which drawer has what inside, but they can also draw an infinite amount of cartoon characters and whatnots in chalk, which, if you were to ask me, is pretty darn nifty! So what do you do when your neighborhood high school is having a garage sale? 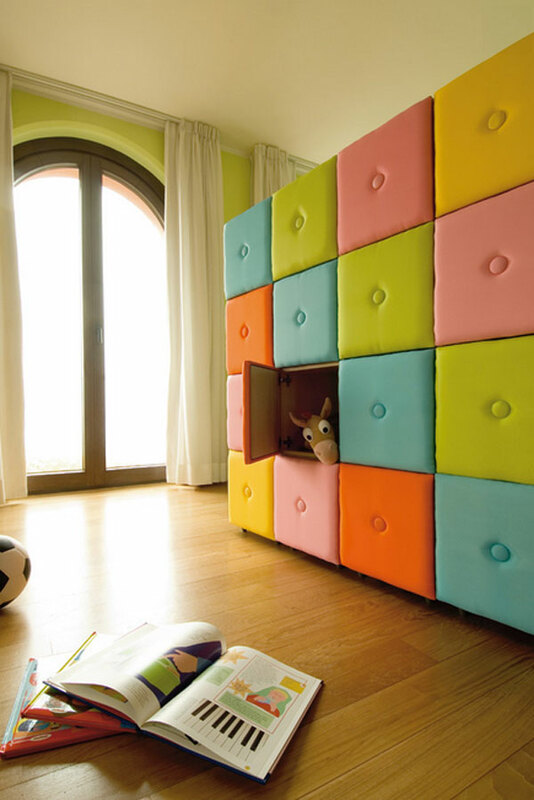 You buy the used lockers and transform them into a swanky storage unit for toys of course! 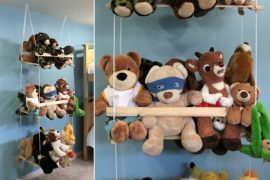 If toy chests are not what you and your kid are looking for, perhaps a floor-to-ceiling shelf will serve a better purpose. 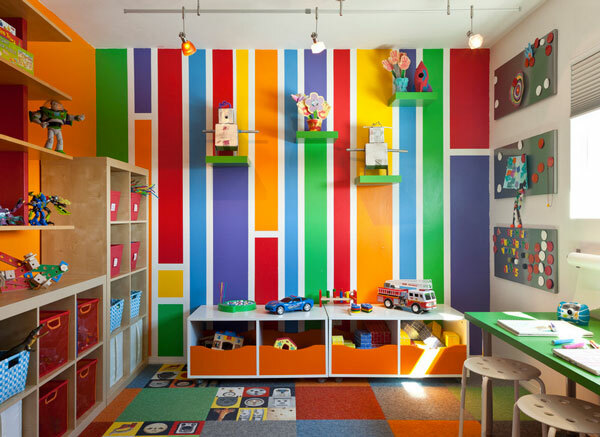 Add some bold colors and an adorable petite table set for an animated playroom. As disheartening it is, eventually, kids all grow up. 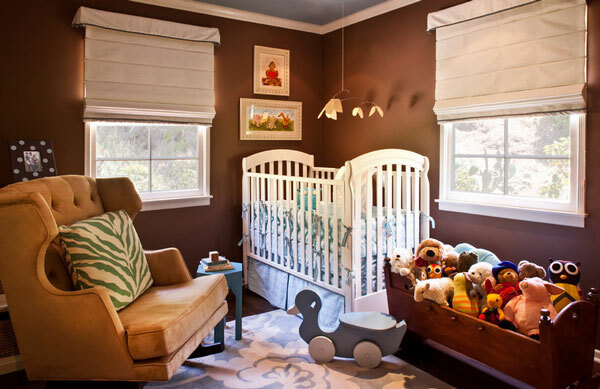 To better anticipate their increasing age, bedroom benches with enough available space underneath to house a few baskets for quick storage are great utilities. 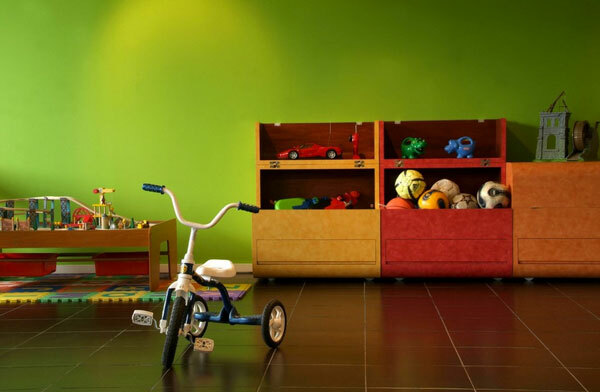 Boys’ rooms are so much easier to handle than girls’ rooms – don’t sweat it. 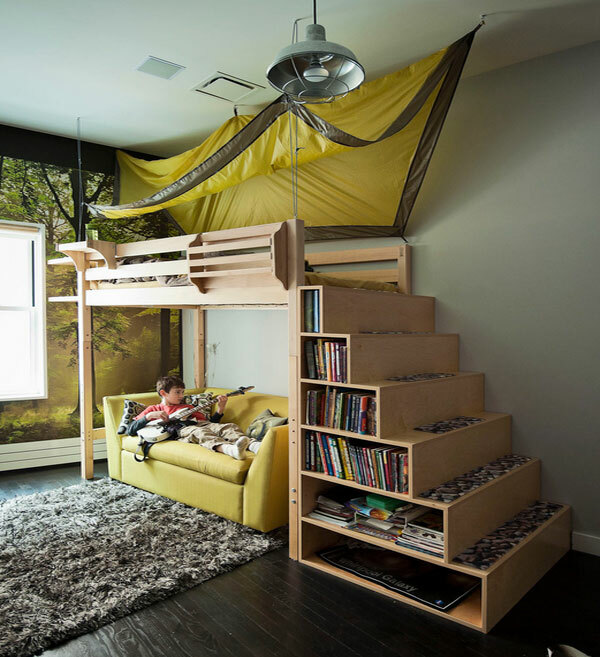 As long as you tie in a treehouse theme and some unbreakable storage units, you are good to go! And when I say “unbreakable,” I mean bins or cubbies that are sturdy enough for when your boys decide to demolish everything in their room for fun!